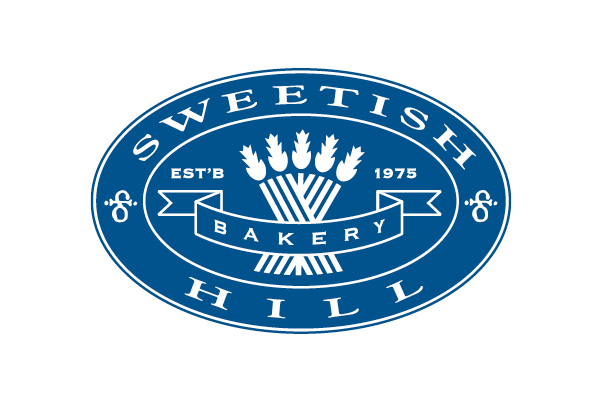 Primary brand for Sweetish Hill Bakery. 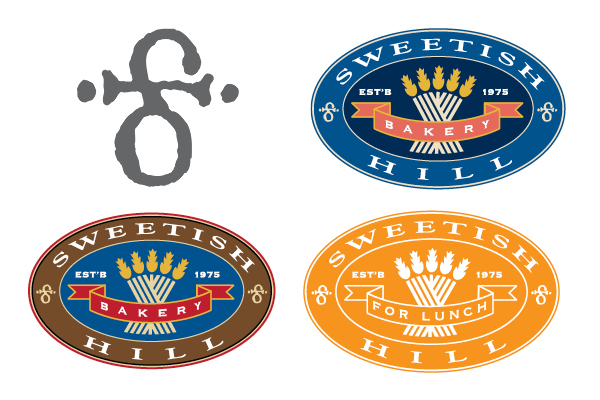 This identity replaced an earlier one we created a decade prior, but which had become emulated by competitors. Original symbol of quality created for first branding provided continuity as new brand rolled out. It can be seen in outside edges of these three versions of the new trademark.